Published on 5 August 2012. As I’ve failed to take a photo for today, here’s one from yesterday of someone taking a picture of St James’ Park. Note the white sheet below the football symbol on the right of the picture, which is covering one of the many “Sports Direct Arena” signs. If you’re confused by the spelling of St James’ Park, you aren’t the only one – as I’ve discussed before! 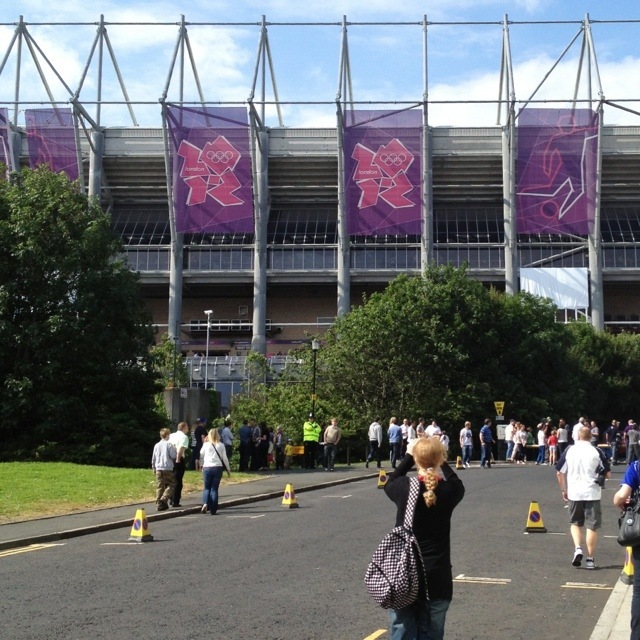 This 1,754th post was filed under: Photo-a-day 2012, Newcastle-upon-Tyne, Olympics.